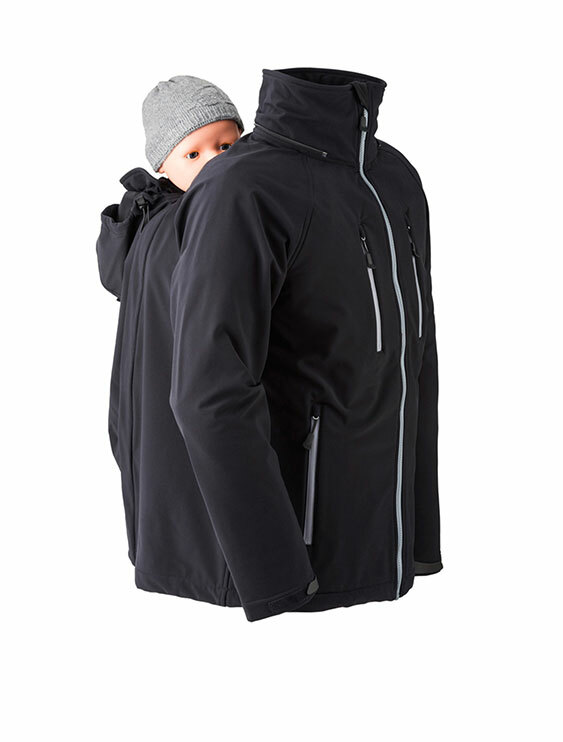 Mamalila Men's Allweather Jacket is rainproof & windproof, has extra high breathability keeping you & your baby comfy all the time. 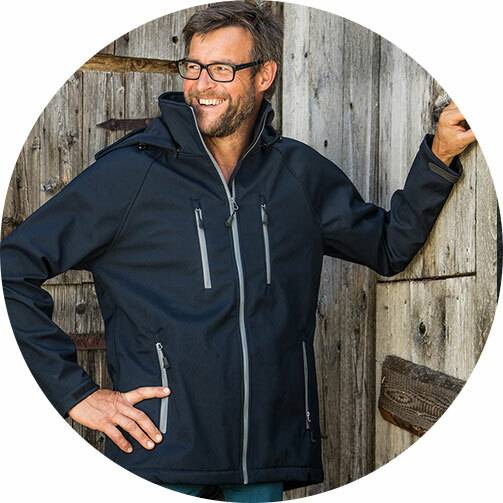 The Mamalila men’s jacket for two is designed as a high quality functional jacket made from a flexible softshell fabric with fleece lining. 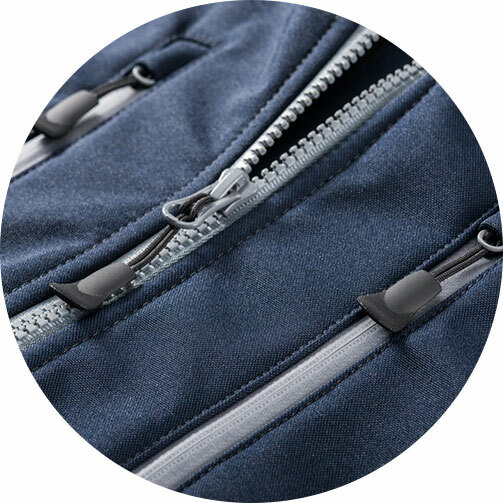 It has everything you guys need - a sporty cut, generously sized pockets with water proof zips and an extremely breathable membrane. At the same time it is a 100% wind proof - perfect for carrying outdoors! 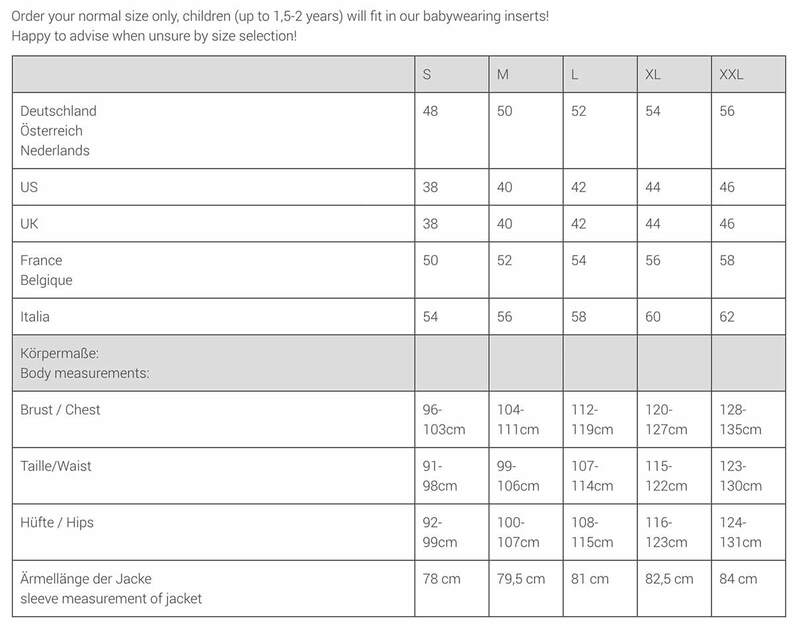 The softshell babywearing jacket for men does all that men require of it outside, with or without child. 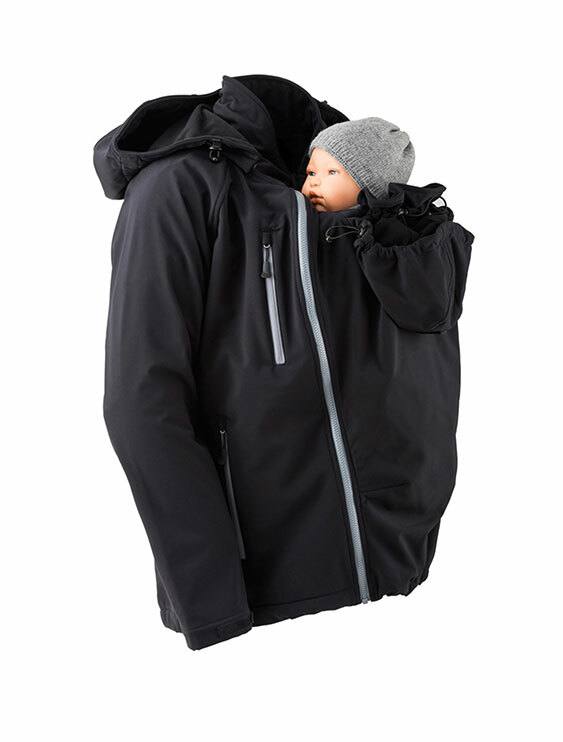 Walks and hikes, cycling and trekking, bad weather dog walking and the playground with the kids – dad can now carry baby outside in all kinds of weather. 10,000mm water column for maximum rain protection. 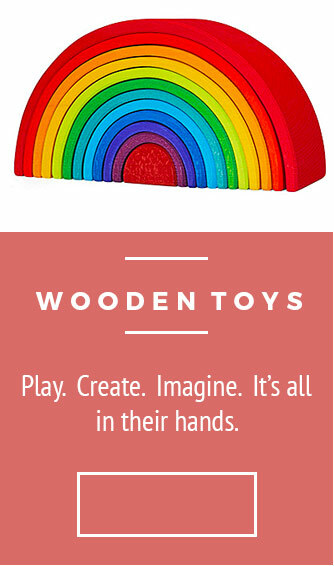 FC-Free skin and environmentally friendly coating. Taped seams and water-resistant zips. 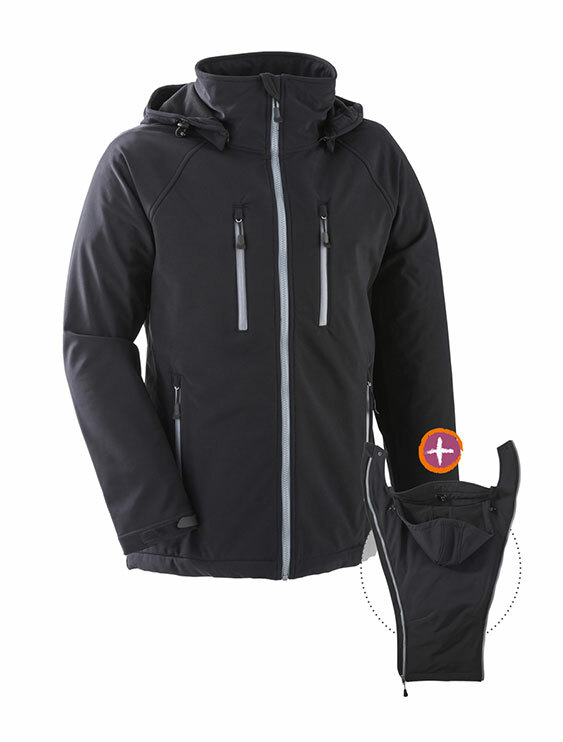 Completely windproof membrane, with soft fleece lining. Large pockets, including two chest pockets. Insert for front and back carrying. A great plus for the men’s jacket is its flexibility. 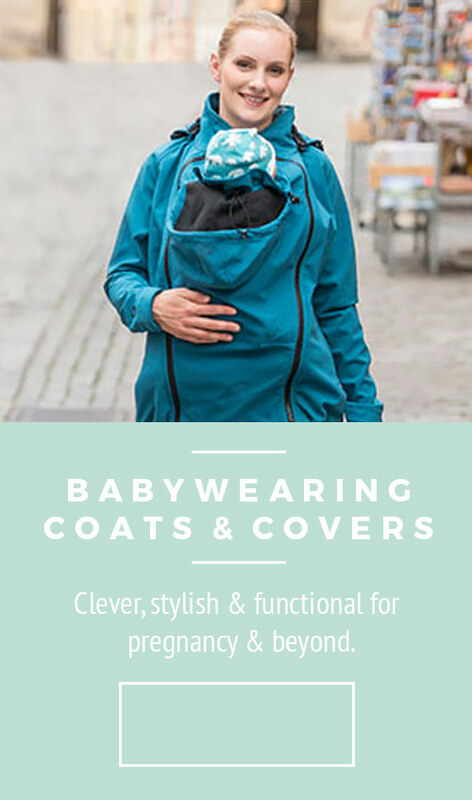 The baby insert is easily zipped in and makes the perfect companion for trips as a babywearing dad, whichever type of carrier you're using. If dad is going solo, the insert comes out and the jacket is awesome just on its own! The men's allweather jacket is a superbly functional jacket, which, thanks to the materials used, can withstand strong winds and persistent rain. At the same time, it is extremely breathable. And on particularly bad days, the warming fleece ensures a coziness that is needed in the colder months.